Ashleigh studied law at Queen’s University Belfast; she completed her Postgraduate Diploma in Professional Legal Education at Ulster University and qualified as a solicitor in 2011. Working in the field of immigration since 2009, she has considerable experience specialising in this area of law. Recognised for her expertise in the education sector, Ashleigh’s clients include universities, independent schools and large private education providers, whom she assists on all aspects of compliance, risk management, restructuring and business strategies. She also worked as Head of International Student Support at Queen’s University Belfast, where she led the strategic and operational management of the University’s Tier 4 compliance. Ashleigh is experienced in providing immigration solutions to both local and multinational organisations from a wide range of sectors including technology, financial services, healthcare and construction. She advises on all private immigration categories, such as family, entrepreneurs and investors, and also assists with settlement and citizenship applications. She is experienced dealing with asylum and human rights applications, and is seasoned in challenging Home Office decisions via appeal or judicial review. Throughout her career, Ashleigh has maintained a particular interest in EU free movement law. She has an excellent understanding of EU law principles, and specialises in complex applications for EU residence documentation. She also advises clients on the EU Settlement Scheme and the implications of Brexit for businesses and employees. A frequent speaker on immigration law, Ashleigh gives training on compliance with sponsorship licence duties under Tier 2 and Tier 4, as well as with prevention of illegal working legislation. In addition to immigration law, Ashleigh has a background in employment law. She can advise employers and individuals on the full range of employment matters, including discrimination, unfair dismissal, GDPR, whistleblowing, TUPE and day-to-day HR issues, such as managing capability and misconduct. 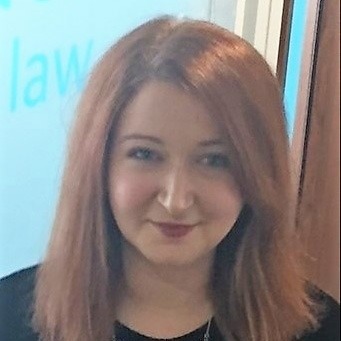 Ashleigh is a member of the Law Society of Northern Ireland Immigration Practitioner’s Group, Belfast Solicitors’ Association and the Law Society of Northern Ireland. To contact Ashleigh please email on ashleighgarcia@hhdsolicitors.com.